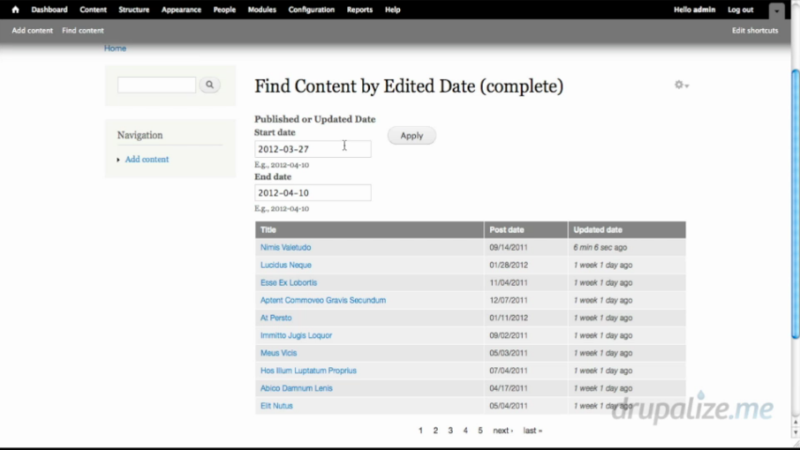 In this chapter, we are going to create a view with an exposed date filter as well. the published and updated dates. There are some new configurations we're going to explore as well. Here is the completed version of the view that we will be building. First, let's look at our table. A pretty simple table. In this chapter we continue working with Date filters in Views and look at using the created and updated core date fields.